Charles Clement’s interest in the law began at an early age – when he served as a Page to the North Carolina Senate under then Lt. Gov. Luther H. Hodges (later Governor of North Carolina and Secretary of Commerce under President John F. Kennedy). Mr. Clement attended the University of North Carolina, AB, 1961, and Wake Forest University Law School, JD, 1964, and was licensed by the North Carolina State Bar the same year. 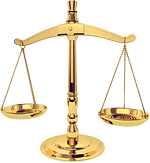 He served as Law Clerk to the North Carolina Supreme Court, Trial Attorney in the NC Attorney General’s Office and Counsel to Governors Dan K. Moore and Robert Scott. During his tenure with both governors Moore and Scott, he was appointed director of the State Crime Commission, where he oversaw development of the nation’s second computerized statewide Police Information Network and, along with the late Albert Coates and the Institute of Government, was instrumental in developing the state’s present-day law enforcement training program in our community colleges. 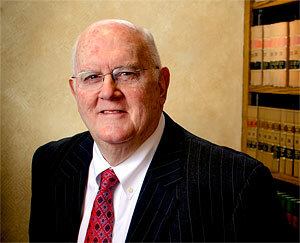 For more than four decades Mr. Clement has headed one of the preeminent law firms in western North Carolina. He has been heavily involved in business and real estate practice in the Western North Carolina High Country and has served as counsel to a variety of the area’s resorts, including Hound Ears Club, Grandfather Golf and Country Club, Sugar Mountain and Beech Mountain Resort. He served as Blowing Rock town attorney for more than 10 years, during which time he was active in the North Carolina Association of Municipal Attorneys, serving as its president in 1987 and member of the Board of Directors of the North Carolina League of Municipalities. Mr. Clement is frequently called upon to serve as advisor, technician and litigator in complex real estate development, municipal and zoning matters and other property-related issues. He has served on a number of drafting committees, including those which promulgated the present-day foreclosure statute, the Timeshare Act, the Condominium Act, and the statutes dealing with weapons of death and destruction. 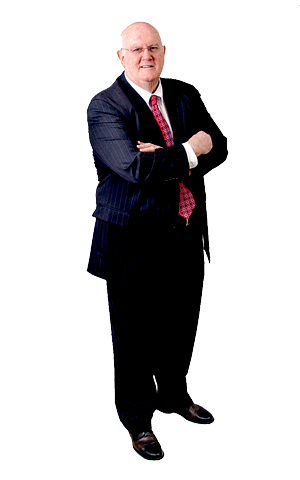 He has a distinguished record before the North Carolina appellate courts, having successfully argued cases of first impression in the Supreme Court and Court of Appeals, often resulting in precedent-setting case law. Mr. Clement is a member of the American Bar Association and the North Carolina Bar Association, where he has served as a member of its Board of Governors. He was inducted into the North Carolina General Practice Hall of Fame in 2009. He is active in the local bar, and is past president of both the Watauga County and 24th Judicial District Bar Associations. Mr. Clement has enthusiastically and unselfishly devoted much time to his community, church and state. Over the years, he has served as a board member and chair of the Watauga County Chapter of the American Red Cross, the Boone Chamber of Commerce and Cannon-Sloop Health Care Foundation, co-founded and served as a board member of the Watauga County United Way and served an eight-year tenure on the board of trustees of Lees-McRae College. He served 17 years on the board of trustees of the North Carolina Natural Heritage Trust and as advisor to the Hayes School of Music at Appalachian State University. He has been Senior Warden of the Holy Cross Episcopal Church in Valle Crucis and member of the Standing Committee of the Diocese of Western North Carolina. Mr. Clement is presently a member of Christ the King Anglican Fellowship in Boone. He was a founding member of the Appalachian Chorale and the Blue Ridge Community Theatre, and performed in numerous musical and theatrical productions.